Only few kilometers south of Heraklion city on the hill Kephala is located Knossos, the capital of King Minos and the center of the magnificent minoan civilization. During your private tour in Knossos you will explore the palace and you will hear the details about the way of life of the Minoans their history, the cretan myths, religion, organization of their society and achievements. The palace was never just the residence of a monarch. It contained rooms that might have been suitable for a royal family. Most of the structures, however, were designed as a civic, religious and economic center. Minoan architecture differs radically from that of Antiquity, which is defined by harmony, simplicity and the clarity of outline. 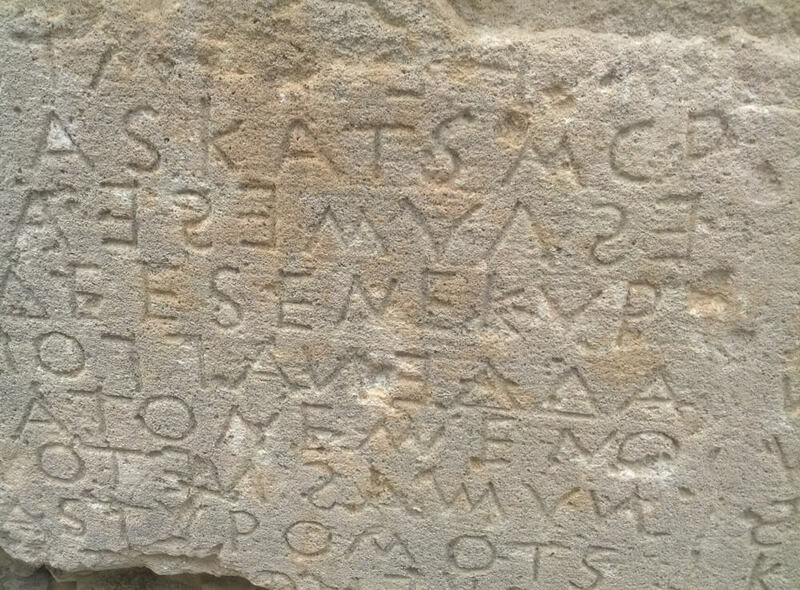 A tour with a licensed guide in this museum will familiarize you with the sort of work and activities that people of eastern Crete did in the past times. You will find hundreds of genuine items of cretan popular art, hand woven fabrics, embroideries, unique byzantine icons, traditional cretan costumes, wooden carved objects, household items and old manuscripts. Minoan architecture took shape in the middle minoan period (1900 BC) through a series of innovations including columns, light-wells, polythyra (many pillars or columns in a row forming a wide roofed usually area with many entrances) and the addition of rather peculiar features such as door frames near corners, alternating columns and pillars and staircases leading from one floor to another. The features of palace architecture are repeated in villas and private residences, which often resembled miniature palaces. The facades, with their monumental entrances and roofs of varying heights was both impressive and picturesque. The external mass was softened by the light and color, the contours made looser and perfectly adapted to the surrounding nature. In the course of the Bronze Age a sophisticated civilization was born on Crete. Sir Arthur Evans, the first excavator of Knossos, named the civilization Minoan after king Minos, ruler of the seas and legislator, who, according to the legends of ancient Greece, was king of Knossos. As your excursion in Knossos makes its way through you will learn that minoan civilization covers chronologically the passage from Prehistory to Proto-history and our knowledge on this civilization derives mainly from archaeological data, at least until the time of archive organization of the palace written tablets. Still these first piecemeal examples of writing are not yet adequate neither appropriate to shed light on all aspects of minoan civilization. Evans divided the minoan civilization into three eras on the basis of the stylistic changes of the pottery. His comparative chronology included an Early (3000-2100 BC), a Middle (2100-1500 BC), and a Late Minoan period (1500-1100 BC). Since this chronology posed several problems in studying the culture, Professor N. Platon has developed a chronology based on the palaces’ destruction and reconstruction. He divided Minoan Crete into Prepalatial (2600-1900 BC), Protopalatial (1900-1700 BC), Neopalatial (1700-1400 BC), and Postpalatial (1400-1150 BC). You can plan your day and visit the palace of King Minos either as a small group or simply request a private tour. Apart from just visiting the archaeological site of Knossos you can choose a tailor made private tour and combine other sites close by, such as the winery of Boutari near Scallani, the winery of Miliarakis at Peza, the village Archanes (with the palace excavated by archaeologist Sakellarakis and the sanctuary of Anemospilia on Youchtas hill) and the city of Heraklion – for a city tour and perhaps a visit of the archaeological Museum of Heraklion). 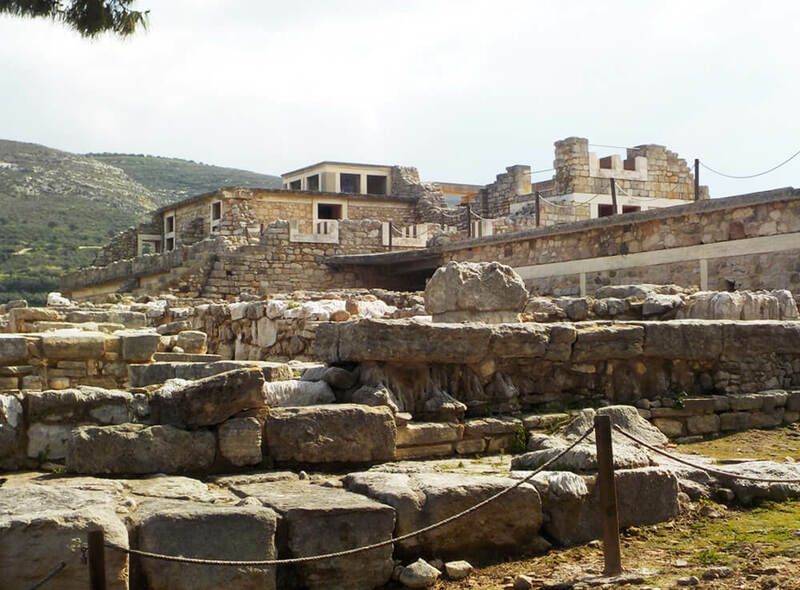 An excursion in Knossos can be combined with many other sites but it depends on the time you want to spend. Not very far from Heraklion, is approx. 18 km to the east the Aquarium at Gouves, another highlight not to be missed. If you are planning a full day tour then we can also recommend to combine a private tour in Knossos with Lasithi and visit the Cave of Zeus there, near the village Psychron, visit the Monastery of Kera Kardiotissa (dedicated to Virgin Mary), visit a local ceramic factory and perhaps have lunch in one of the traditional taverns. Choose the date and send us a request. Plan the tour, choose the site…You decide the pace. Knossos and Lassithi Plateau (8- 9h duration). 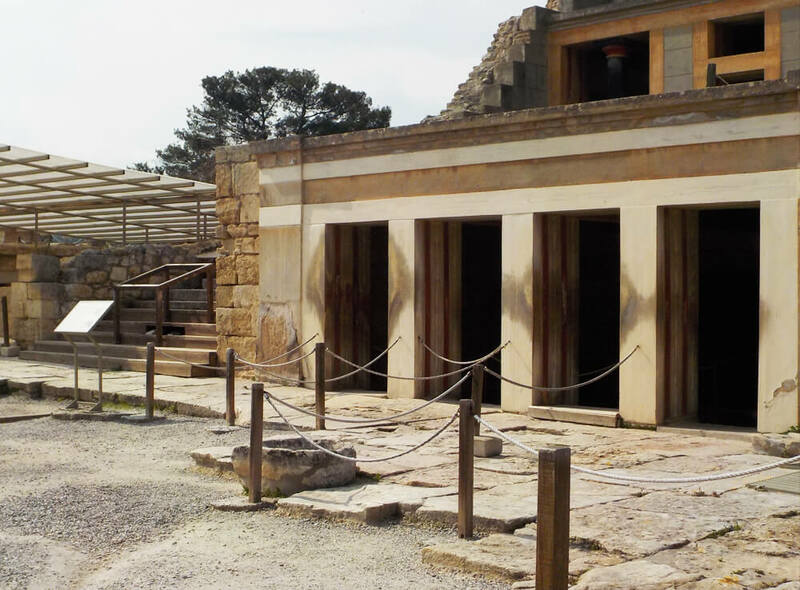 Knossos Heraklion city tour and Archaeological Museum (duration 5 h). 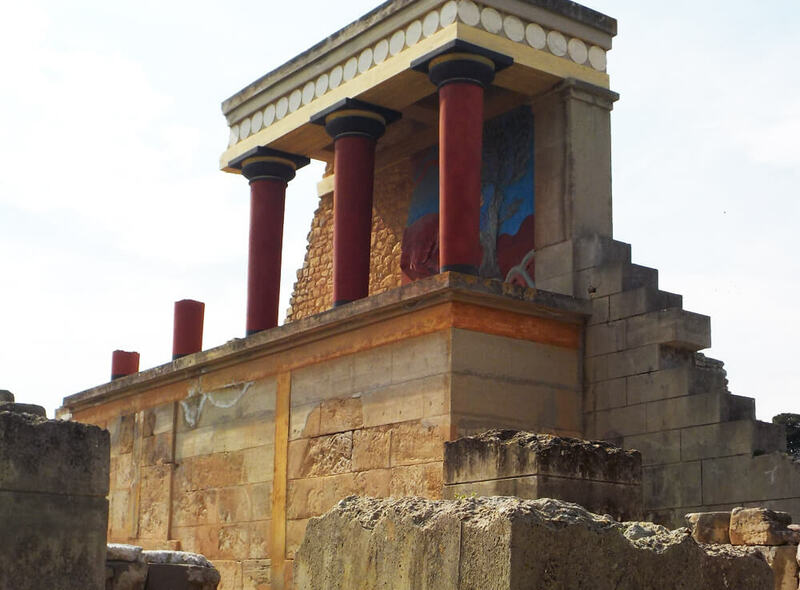 Knossos Arkadi (visit at the Monastery) and Rethymno city tour (duration 8h). Knossos Phaistos (a visit a the palace of King Radamanthys) and Matala (duration 9h). 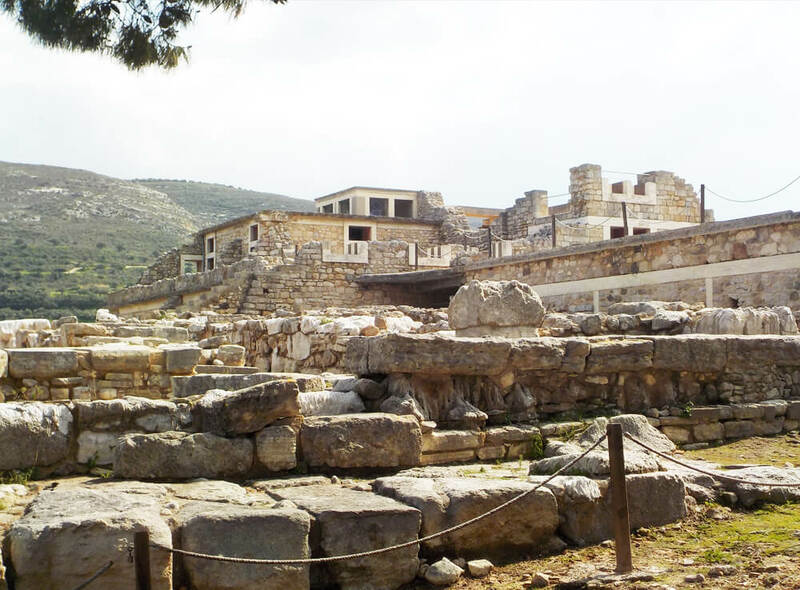 Knossos Malia (a visit a the palace of King Sarpedon) village Krasi and Kardiotissa Monastery (duration 8h). The duration of each program may vary, always depending on the pick-up point. 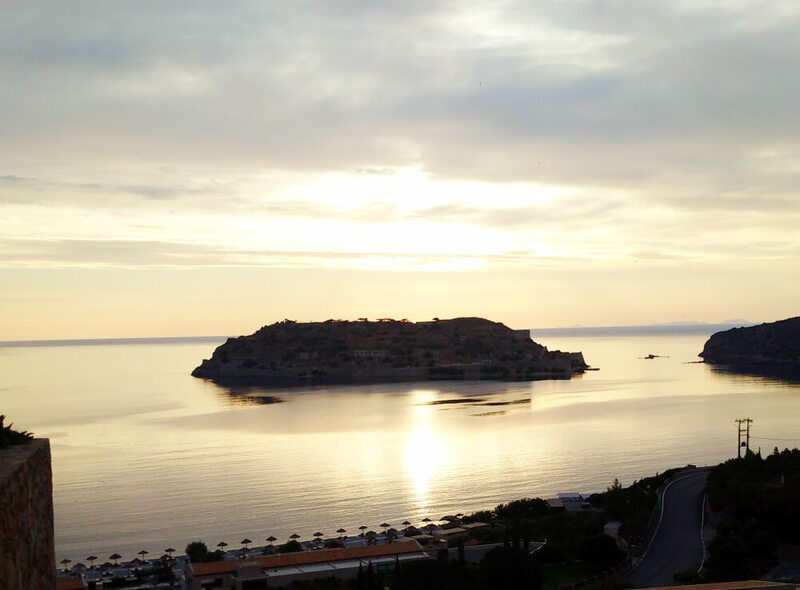 From Ag.Nikolaos port it takes 1h to reach Knossos and from the port of Rethymnon it takes 1h 10 min. If you are starting the tour from the port of Heraklion it takes 10 min.